Welcome to the Starship Smackdown Panel at San Diego Comic Con this year, and Neal DeGrasse Tyson’s opinion opinion on which is best between the USS Enterprise NCC-1701 (1960’s television series) and the USS Enterprise NCC-1701-A refit (original motion pictures). Is there anything this man CANNOT explain? The TARDIS Shed is Bigger on the Inside. Move over Britney, Madonna and Beyonce, this guy’s got moves. Maybe it’s his pre-dance stretch that does it, but we’ve never seen someone dance to “Ice, Ice Baby” and look good at it. Plus, there’s little better in the world than a robot doing the robot. The news comes from the Daily Express, who quotes an unnamed Who insider as saying, “It will be fitting to have Tom back to mark the 50 years. He was a big part of the show’s success and is much-loved by the fans.” Naturally, sources both official and unofficial are keeping mum about the nature of Baker’s appearance. 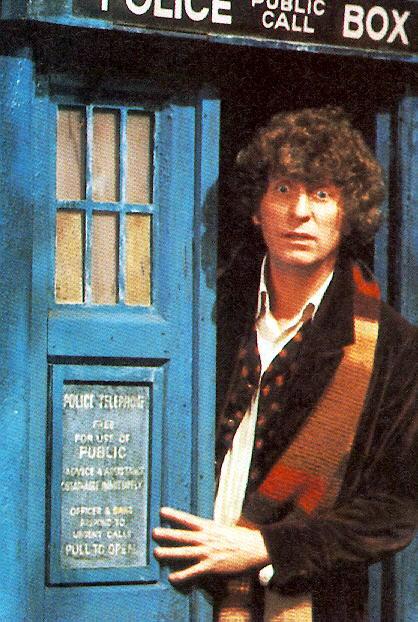 Will he be playing the Fourth Doctor? If so, how will they explain the fact that he’s, well, three decades older? He could just be playing an entirely different character, but I’m sure the fans would love to see him return in the role that made him famous, and which some fans still consider the quintessential Doctor. Of course, this is Doctor Who, so I’m sure they can come up with some sort of technobabblish explanation for his current appearance if they so wish.